﻿﻿Following the overwhelmingly positive response to their performance of Simon and Garfunkel’s Bridge Over Troubled Water at the 2013 Nā Hōkū Hanohano Awards (Hawaii’s Grammy® Awards). 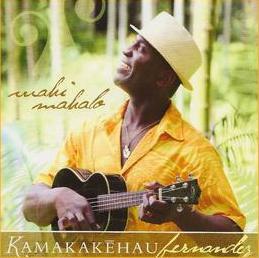 You may purchase Kamakakehau's debut solo CD "Wahi Mahalo" (winner of a 2013 Nā Hōkū Hanohano Award - Hawaiʻi's Grammy® Award!) from the merchandise store or iTunes.